Multi-Color Logo on Front AND Back! You asked for it, you got it! That's right! 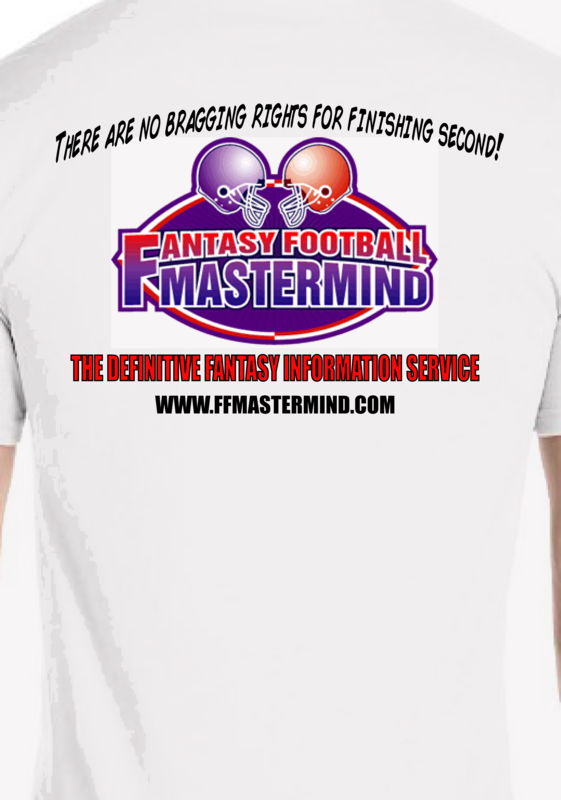 FFMastermind.com has created a NEW official T-Shirt for our website! We always give away a group of T-Shirts as an incentive to renew early at Christmas time, but now we are actively selling our brand through cool NEW T-Shirts! These shirts are HANES 50/50s! Great quality, and a very sharp and precise image will make you look your best while supporting our website! Pretty cool, right? But you haven't heard the best part... WE'VE LOWERED THE COST OF THESE SHIRTS to less than $20 including shipping and handling! Please click the links below to check out the new front and back of these shirt! 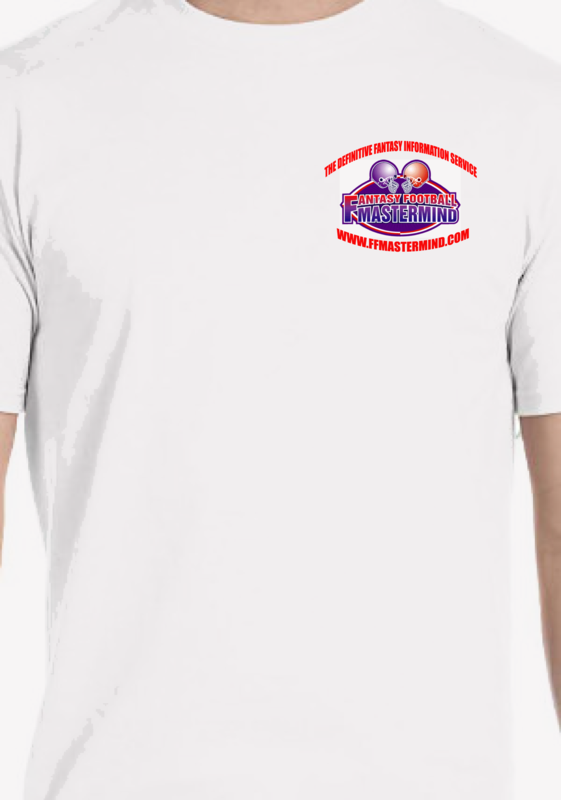 2015 represents 20 YEARS of FFMastermind.com, so we are celebrating with these new shirts! We hope you choose to support us with a purchase. Thank you. Special Note: Your order will be shipped to you within three days of your purchase.